This is not The Java Language Specification, the formal language specification. This is not a suitable book for beginners. The fifth edition, 978-0-13-276168-0, is due out 2013-04-11. Book referral for The Java Application Programming Interface: Window Toolkit and Applets (Java Series) Vol 2.
recommend book⇒The Java Application Programming Interface: Window Toolkit and Applets (Java Series) Vol 2. Online bookstores carrying The Java Application Programming Interface: Window Toolkit and Applets (Java Series) Vol 2. Book referral for The Java Application Programming Interface (Java Series) Vol 1.
recommend book⇒The Java Application Programming Interface (Java Series) Vol 1. 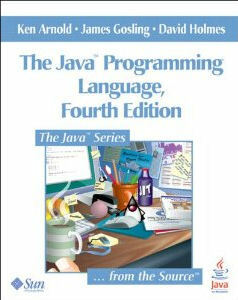 Online bookstores carrying The Java Application Programming Interface (Java Series) Vol 1.